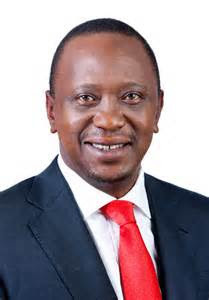 Uhuru Muigai Kenyatta aka Uhunye aka Uhuru Muigai My Guy is arguably the best president that Kenya ever had. He portrays character traits similar to those of president Barrack Obama and Kenya absolutely love Uhunye. When CNN said that Kenya is ‘a hot bed of terror’ he went ahead to make a joke out of it and said that Kenya is ‘a hot bed of vibrant culture’ during the GES. He is just an adorable president. Below are the 11 things that Muigai My Guy told CNN before they apologized. 4. ‘Hotbed’ made Kenya look like it is the origin of terror, when the truth is we are not. 10. We accept factual, true and fair reporting. We encourage CNN to pursue that kind of journalism.